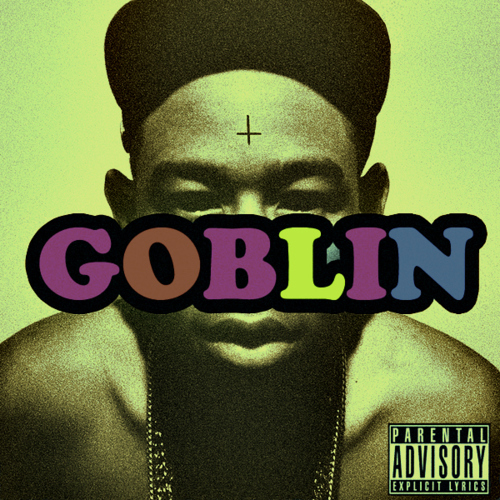 So you have probably seen this album by Tyler the Creator. As you can see he has an upside down cross on his forehead. Many people believe it to be a symbol of anti-christian beliefs. 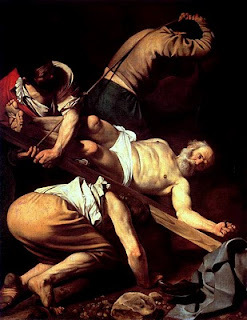 The second picture is "The Crucifixion of St. Peter" by Caravaggio (1571-1610). It depicts St. Peter as he is about to be crucified. The interesting thing about St. Peter is that he wanted to be crucified upside down because "he declared himself unworthy to die in the same manner as his Lord." Many others Saints choose to be crucified in other ways because of the same sentiment. The upside down cross isn't a symbol of anti-christians beliefs, but it's a symbol of St. Peter, the first Pope. It's interesting to see how the world twists thing. You just have to look in a little bit and you can see it as it truly is. Hopefully this unveils something about the Catholic Church you never knew and I will be posting more about these symbols, events and such.